Toni Johnson, Vice President, Heron FoundationImpact investing has been on a lot of people's minds lately in philanthropy, including ours. We are curious about how different foundations imagine and develop their strategies, and the Heron Foundation is one funder that's been a real leader in this area. As we've previously reported, Heron is moving its full endowment of some $300 million into investments that align with its mission by the end of 2017. 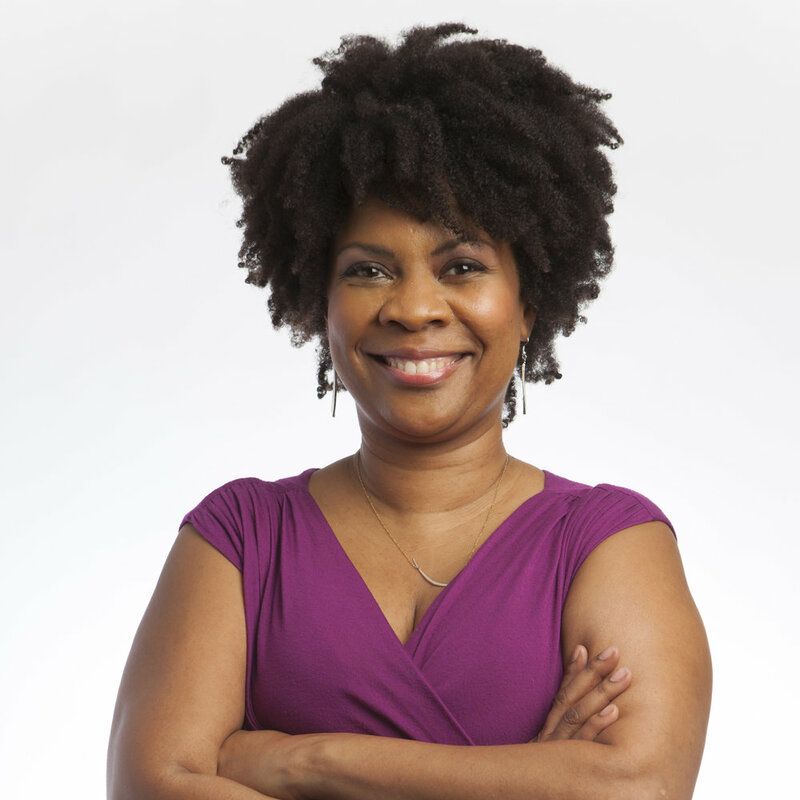 To learn more about what Heron is up to, we got on the phone with Toni Johnson, who is a vice president charged with forging the path for Heron's long-term public influence and engagement strategy. Johnson comes to high-level leadership in philanthropy with an extensive background in journalism, including a six-year stint as a staff writer and editor at the Council on Foreign Relations, where her focus was on a blend of energy, environment, religion, and global health. Johnson's writing has covered a wide range of topics over the years, including HIV in Africa, the Haiti earthquake of 2010, food and energy price surges, the Fukishima crisis, and conflict related to climate change. "There's a real conviction among our board to exploring how to use the full set of financial tools to achieve mission," said Johnson. Those tools at Heron range from grantmaking all the way to private equity investing. Notably, Heron defines impact investing differently than many other funders. While this term typically refers to deploying funds into investments that yield a social or environmental benefit alongside a financial return, Heron sees things in broader terms. The foundation states, "All investing is impact investing. All enterprises, regardless of tax status, produce both social and financial results on a spectrum from positive to negative, including neutral." Another big difference between Heron and other funders doing impact investing is that it sees its staff as a single team deploying assets for mission through a wide array of vehicles. Unlike MacArthur, which has a separate division for impact investing and embeds these professionals in the program grantmaking teams, Heron's integrated structure reflects its broader approach to impact investing. The point of all Heron's work is to help people escape poverty. More specifically, the foundation says, "Our strategy is to invest capital in ways that expand reliable employment and economic opportunity for those on the margins." We asked Johnson how this strategy played out in practice, and how Heron deployed its mix of tools. On the grantmaking side of the impact investing work at Heron, Johnson pointed to the Council for Adult and Experiential Learning (CAEL), which Heron began supporting in 2014 with a $2 million commitment. As an example of a typical scenario that CAEL addresses, Johnson cites a welder with a low-level certification, who can't afford the tuition or to take the time off to certify up. "CAEL will work with their employer to have their on-the-job time count as certification, so they can get that bump in pay and responsibility." This has the added benefit of potentially opening up the lower skilled positions to new workers. The overarching goal of CAEL is to link learning and work, and help workers, educators, and enterprises to spend less time and money earning credentials. It does this by coming at the problem from a number of directions focused on students, employers, adult workers, and colleges and universities. After Heron began work with CAEL, Johnson talked about how the Kresge Foundation, a longtime supporter of CAEL, also came onboard with support in the form of program-related investment capital for the organization. "Kresge came in with both a grant and a PRI. That was the first time that the PRI and these particular program and grant people worked together on that project, so we were very excited to see other funders come in and really start to grasp what philanthropic equity and a blend of financial tools can do for an organization to help them grow their business." As another example of Heron's nonprofit portfolio, Johnson also talked about the Family Independence Initiative, to which Heron committed $1.5 million in 2014. Johnson described how FII tracks families through a data system that gives them a tool for self-reflection by logging in and journaling about income and savings, health, education, and other topics. Families track their progress, and FII pays them in exchange for sharing their data. "It's a non-intervention model," said Johnson. "The families also participate in lending circles. It's all done with the guiding premise that most families know what they need to help themselves, and they don't need an outside person telling them what to do." Johnson said the Family Independence Initiative has proven to be a model that is growing with its own momentum. "As of 2014, over one million dollars has been loaned amongst the members of the lending circles." On the for-profit side of Heron's investment portfolio, Johnson pointed to DBL Investors, an asset management firm in California that specializes in using venture capital to accelerate innovation by investing in clean tech, information technology, healthcare, and other sustainable products and services. Heron committed $4 million to DBL in 2014. Founded by Nancy Pfund, DBL has in its portfolio some of the most successful clean energy companies in the country, including Tesla, SolarCity, PowerLight and BrightSource. Heron is onboard for this ride, and is on the lookout for more ways to support investments like these. "We have close relationships with our bond managers," said Johnson. "So for instance, when they get a call about a bond to retrofit a Toyota plant in Texas from making SUV's to Pruises, they call us, because there's a job play, there." These are the kinds of economic development opportunities that Heron looks to invest in. Another big investment for Heron is in the Sustainability Accounting Standards Board (SASB), which is playing a critical role in creating more transparency and disclosure for corporations listed with the SEC, so that investors can understand the environmental and social impacts of all of the company's activities. "Whether it's climate change or the safety standards for OSHA, it's material to investors, and so corporations need to report on this," said Johnson. The hope is that with better reporting, "a risk/reward thing will happen, where the companies with better report cards will attract more investment." Heron has committed $2 million to the SASB since 2013. As we noted in our last article on Heron, the foundation has deployed a fair amount of capital to lending institutions. For example, it's invested funds in the Rural Community Assistance Corporation, which makes "loans to nonprofit housing development, rural water projects, as well as day care and health centers." Heron has put capital into other entities lending to low-income people starting businesses or buying homes. It's also put a lot of cash into nonprofit credit unions. What does Heron look for in enterprises it partners with? "A multiyear track record," said Johnson. "A solid management team. A reliable operating model. We're looking for large geographic footprint or ability to show broad influence." "We don't make that many grants or investments per year," she emphasized. "In the last three years, we've made 10 grants out of 25 total investments across the entire endowment." And on the horizon? Johnson said that Heron is always experimenting in its journey of learning. "We're exploring employee ownership and seeing if that's an investable model. We're also collaborating with Aspen Institute's Business and Society Program and to work with others on looking at models that target corporate CEOs to move them more toward values-based management." Heron has been making steady progress toward its goal of aligning all its assets with its mission in the next few years, with a majority of its assets already meeting this criteria. Johnson says the model is succeeding, but points to more work ahead: "When you put money on the street, it has an impact. It affects communities, workers, the environment. And so what we're trying to do is find the best investable opportunities that lead to better long-term social outcomes." Related:Pioneer Watch: Heron's Big Shift to Investing Is Moving Along. Where's the Money Going?